The commander of the Islamic Revolution Guards Corps (IRGC) rejected claims that Iran has dispatched its forces to neighboring Iraq to take part in a massive operation to liberate Mosul from Daesh (ISIL or ISIS) terrorists. 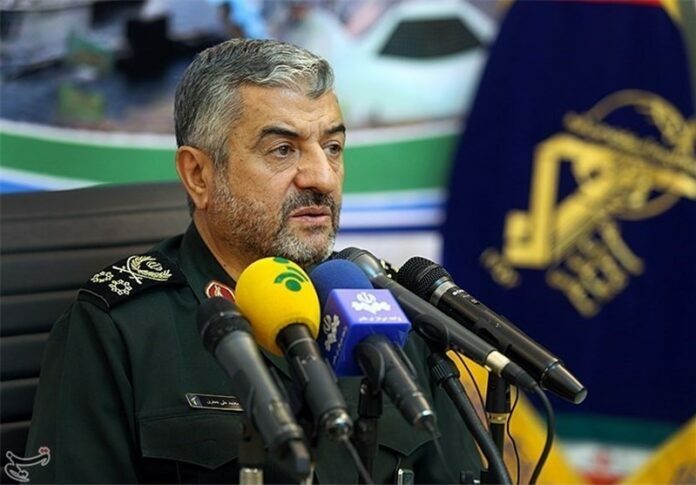 Speaking to reporters in Tehran on Thursday, Major General Mohammad Ali Jafari underlined that the Iraqi fighters, including Hashd al-Shaabi forces, also known as the Popular Mobilization Units (PMUs), are powerful enough and do not need Iranian forces to help them. The commander underlined that Tehran’s support for Baghdad is confined to advisory assistance and that no military troops have been dispatched to the Arab country. Elsewhere, he said since the battle in Mosul may not end soon, the terrorists might withdraw from the Iraqi city to Syria. According to the latest reports coming out of Mosul, Hashid al-Shaabi voluntary forces on Tuesday continued to make gains against the Daesh terrorist group in west of Mosul, inching closer to the Tal Afar-Sinjar road. The forces succeeded in cutting the road and fully retaking the villages of Kharab al-Jihash and Tal Abra. The Iraqi forces further liberated Sharia al-Shamal village. The latest developments are parts of the large-scale offensive which the Iraqi army, the voluntary forces and Kurdish fighters launched on October 17 to retake Mosul. Iraqi troops have reportedly liberated more than 100 towns, killed 1,700 terrorists and destroyed 650 of their vehicles since they began the decisive battle. The recapture of Mosul would mark the Takfiri militants’ effective defeat in the Iraqi half of the territory they seized in 2014.